If you’re one of the many who were inspired by the film Sideways and, upon watching it, took to the vineyards in order to commence the next affected stage of your life as a pretend wine snob, Google has got a treat for you. As Google Maps is ever expanding, taking you inside hotels and local small businesses, now you can tour around the vineyards of Cape Town, South Africa, and explore and practice your best novice-level sommelier performance as you virtually tour the vineyards of the 30 wineries that are now included within Street View. Later, look forward to Street View to include Botswana cities and tourist landmarks. As with all of the Google Street View features Google has been rolling out, these Maps locations offer a fully 360-degree surveillance of the entire countryside. 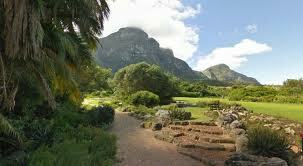 Go have a look at the breath-taking views of Kirstenbosch National Botanical Garden in Cape Town. And kudos to the Google Street team for having a mind for good timing and grabbing these photos on a particularly beautiful day. At least now you don’t have to embarrass yourself in front of actual vino aficionados and can tour the vineyards from the humble privacy of your own office.